The first thing to know about the latest actor to tackle the role of Gregor Clegane a.ka. “The Mountain” on Game of Thrones, is that he’s not a trained actor at all, he’s a competitive weightlifter. At 6’9″ and nearly 420 pounds, Hafthor Bjornsson (nicknamed “Thor” and “The Icelander”) is the third strongest man in the entire world, and the strongest in Iceland. 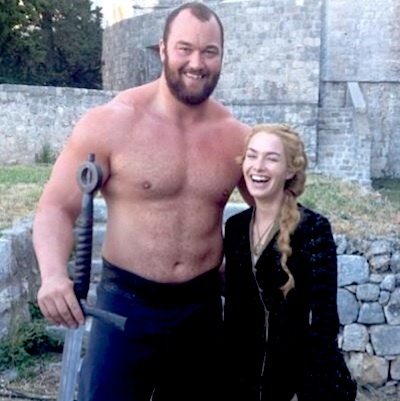 And a role on Game of Thrones isn’t the only unique offer Bjornsson has received based on his physique.